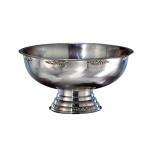 Browse our huge selection of metal punch bowls. 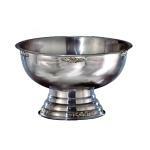 These lovely bowls are offered in metal finishes including mirrored and hammered finishes. Beautiful in buffets! Here is our pick of salad dressing containers. These salad dressing containers are offered in bottles and stainless steel bowls and three way servers. Here you will find our pick of bread holders. These holders with spikes are perfect for holding bread loaves still while slicing. 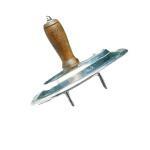 Aluminum with pewter-glo finish. 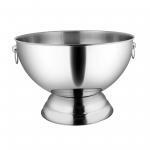 Choose from our collection of plastic punch bowls. 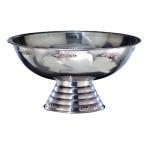 These lovely punch bowls can be used for fruit or drink displays, iced or chilled products and more!